Earlier this week, Nike announced LeBron James’ new shoe, the LeBron 9. Retailing at $170, the sneaker will go on sale in October, when it will promptly — well, what? In the offseason of his discontent, does James’ brand still move product like it used to? Nike surely has bundles of market research detailing exactly how key demographics’ consumer relationships with LeBron might have changed after The Decision and Miami’s NBA Finals collapse. They could have saved some money, though, and asked hip-hop. Rap music’s coverage of LeBron has adapted alongside that of the sports media, moving from rote, one-dimensional treatment to something much more interesting. Jay-Z, on 2008’s “Blow the Whistle”: “I’m too big for ya, the rap LeBron James.” Jay-Z, earlier this year on “Gotta Have It”: “N—– hate ballers these days / Ain’t that like LeBron James?” Meaning: For a good understanding of the country’s shifting feelings toward LeBron, you could do worse than keeping up with how rappers are dropping his name. Once, things were simple. He was the greatest; therefore, those wanting to demonstrate that, they, too, were the greatest would create emphatic associations. Jay’s actually one of at least three MCs, along with Game and Red Café, to use nearly the exact phrase “the rap LeBron James.” The general tactic dates as far back as LeBron’s first pro year: during a guest verse on the 2004 Jadakiss track “Getting It In,” Kanye West claimed that “N—– tryin to figure out, since Kan’ came / Who the rookie of the year, me or LeBron James.” Overall, perhaps no one has gone quite as far in tribute as the Atlanta rabble-rouser Waka Flocka Flame, who has released two mixtapes under the ‘LeBron Flocka James’ banner. Both are marvels of modern amateur photo-shoppery. On “24 23,” Young Jeezy made use of LeBron for his jersey number only: he says he “used to pay Kobe,” or $24,000, for a kilo of cocaine, and now he pays “LeBron,” or $23,000. On “Empire State of Mind,” Jay-Z one ups him: “If Jeezy paying LeBron, I’m paying Dwyane Wade.” The drug talk was a detour from accepted usage, though: by the summer of 2010, LeBron James was an entrenched hip-hop positive. On “Bollywood Flow,” Drake still big-ups himself via James, but with a time-sensitive qualification: “I’m what LeBron was to St. Vincent-St. Mary’s.” Best of all was Kanye, on “Devil In a New Dress,” proclaiming himself the “LeBron of rhyme.” The song was released months after The Decision. Was ‘Ye being accidentally anachronistic? Or, more likely, was Kanye using LeBron — an obscenely talented, dramatically polarizing figure — on purpose? After the Heat fell to the Mavs, things continued to devolve for LeBron. Just charting Game’s schizophrenic relationship with the dude shows a lot. The Lakers superfan has gone from the “rap LeBron James” (2007) to “million dollars say LeBron don’t win a ring” (2008) to “Hit the game watching Bron / n—- I salute you” (January 2011) to, on last month’s “Martians vs. Goblins,” a brazen, unseemly reference to the Delonte West rumors. 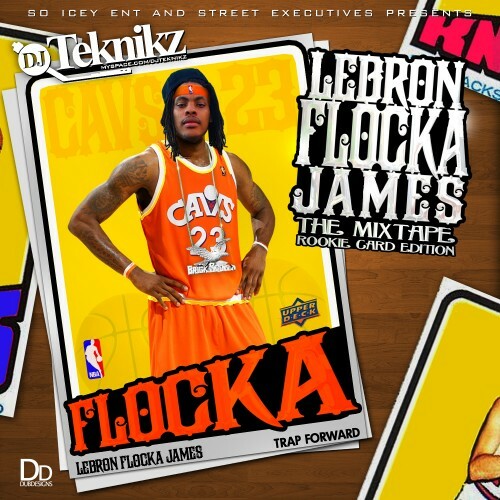 (On the same track, Tyler, the Creator piles on: “Fall back like LeBron’s hairline against the Mavericks.”) Even Waka Flocka Flame has abandoned the LeBron motif. The title of his recent mixtape, DuFlocka Rant, is a clumsy tribute to Kevin Durant. And it all seems to have cratered with Jay-Z on “Gotta Have It.” The line isn’t mean spirited, of course; Jay-Z wouldn’t do that to his bud. But it is honest: Hova just about sounds like he pities LeBron. What’s that mean for shoe sales?